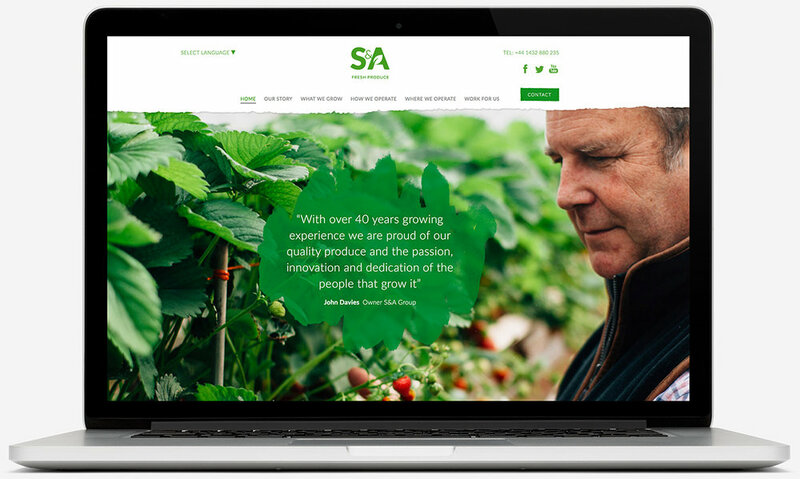 S&A is an international grower of soft berries, asparagus and avocados based right on our doorstep in Herefordshire. We were delighted when they engaged us in 2015 to work with them on a major re-brand across the business worldwide. This was a full service brief starting with market research across three continents, followed by brand strategy and creative concepts and delivery. Focusing on their rural roots we produced a strong modern creative that put growth at the centre of their brand with a strong leaf identity developing within their name. The new website we have created is multi-lingual allowing them to use it as a hub for their international business and the Seed Group also project managed a suite of company videos, vehicle livery for their fleet, signage, stationery and advertising assets. So what’s next? We’re ready! The Seed Group is the trading name of Herefordshire Media Limited – Company Number: 08106140 Registered in England and Wales.